Lightning Reef students each year as a part of the Physical Education curriculum deliver an extensive swimming program conducted by trained YMCA aquatic educators. The program is conducted over a period of 10 weeks and students swim once every week. The program is specifically designed to cater for students who have never swum to students who are extremely confident around water. • Is available to every student from Prep to Grade 6. Lightning Reef School delivers a Gymnastics Program each year as an integral part of their Physical Education Program. 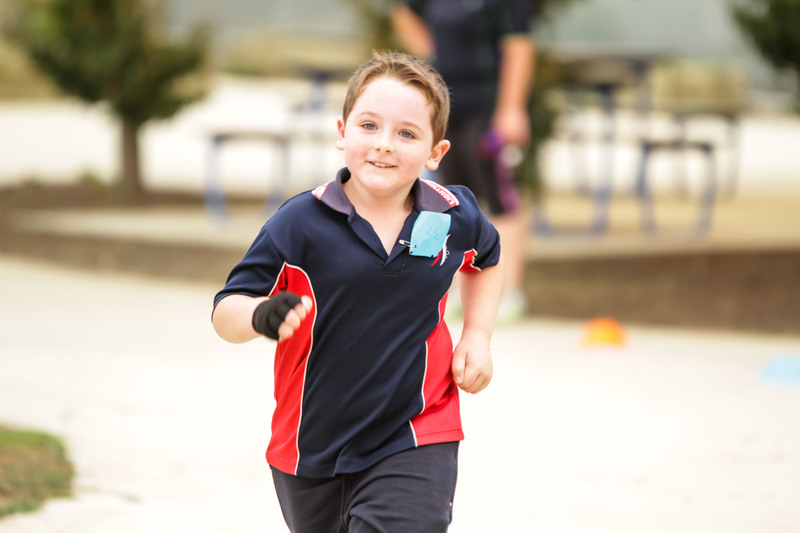 This program incorporates fundamental movement skills required in all types of physical activity and will help children develop the coordination needed for all sports and for leading an active lifestyle. The aim of the program is for students to participate and enjoy the physical benefits of improved core body strength, spatial awareness, body coordination and the psychological benefits of improved concentration, confidence, and self esteem. Lightning Reef Primary School has approximately 20+ bikes of varying size and shapes. These bikes were donated to Lightning Reef Primary to promote healthy living and encourage students and parents to ride to school and enjoy the benefits of a healthy lifestyle. Included with these bikes are a large range of helmets and safety equipment. These bikes are available to be borrowed for short terms or used for special occasions like Bike – Education, School Camps and Special Excursions. These bikes are regularly serviced and maintained to ensure the highest safety standards.